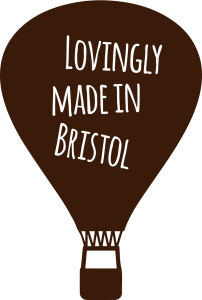 Handmade in the UK in our Bristol-based bakery. Our snack bars promote healthy eating in a unique way – by combining simple, all-natural ingredients with the added goodness of ‘superfoods’. These bars are a great source of protein and fibre, are vegan and vegetarian and contain no wheat, no dairy, no palm oil and no added sugar! Goji Berries, also known as wolfberries, originate from the Himalayas and can help boost the immune system and brain activity. These slightly sweet, dried berries are high in vitamin C, vitamin B2, vitamin A, iron, selenium and other antioxidants. Coconuts are highly nutritious, rich in fibre, and packed with essential vitamins and minerals including vitamin C, vitamin E, vitamin B and Lauric Acid. Soft shredded coconut provides a natural source of quick energy and can help improve insulin secretion. Baobab fruits are found inside hard pods and are dried naturally and ground into a powder. With a pleasant citrusy taste, Baobab is also high in calcium, vitamin C, potassium, magnesium, zinc, vitamin A, thiamin, B6 and bioflavonoids. It also acts as a prebiotic and is high in fibre. Apples are a great source of fibre and help aid digestion, they also contain vitamins A, B, C and E making them tasty and nutritional! Quinoa is gluten-free, high in protein and one of the few plant-based foods that contain all nine essential amino acids. It is also high in fibre, magnesium, B-vitamins, iron, potassium, calcium, phosphorus, vitamin E and various beneficial antioxidants. Apricots are a great source of dietary fibre. They contain retinol which is fat soluble – the fruit dissolves in the body easily, and the important nutrients, like vitamin C and potassium, are easily absorbed. Chia Seeds pack a serious nutritional punch – rich in polyunsaturated fats, especially omega-3 fatty acids, they are also high in fibre, antioxidants, are gluten-free and keep you feeling full due to their unique ‘gelling’ action. Blueberries are packed with antioxidants and phytoflavinoids, these delicious berries are also high in manganese, vitamin K and vitamin C. Not only can they help lower the risk of heart disease and cancer, they also have anti-inflammatory and antioxidant properties. Available in Single Flavour & Mixed Flavour Cases!